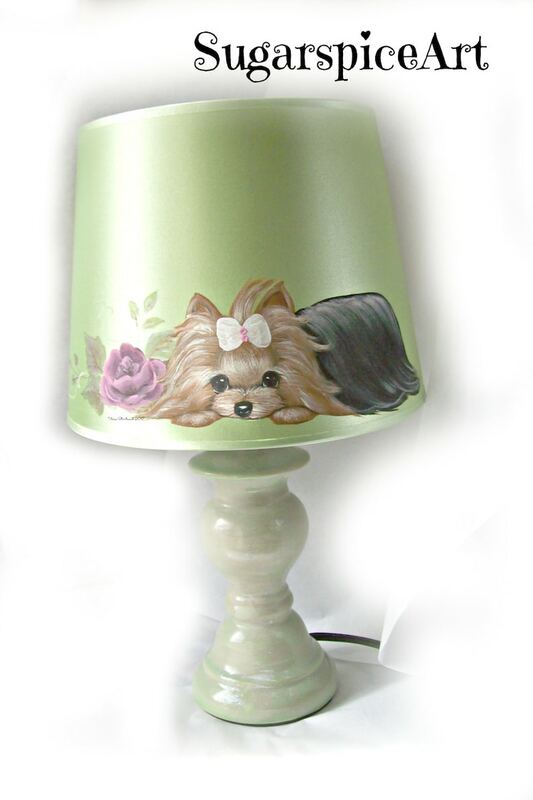 Have a small lamp, uplight or regular lamp shade hand painted with your Custom Breed Dog ! When you pay for your item, just mention the dog breed that you would like to have painted on your lamp . There will be an additional cost for each dog-email me for price and available lamps/shades! I will send photos of what I have in stock..